I’m a hypnosis expert and I can teach you how to hypnotize yourself so that you can quit smoking without feeling terrified that you’re losing your best friends… your cigarettes. I'M READY TO QUIT SMOKING! Kathy Lindert has helped thousands of people quit smoking without patches, drugs, vaping or nicotine gum. Using techniques that will help your mind understand that you no longer want nor need to smoke and stop sabotaging yourself using these new behaviors will help you to stay a non-smoker without feeling anxious and deprived because you will discover the psychological reasons behind your smoking. Kathy, an ex-smoker herself, explains in detail how to handle the cravings and shows how to handle situations when temptation becomes too strong, so you continue to remain smoke-free. Kathy discusses how your false beliefs that cigarettes are your friends as well as cigarettes relieve stress aren’t true. Kathy shows you how to handle boredom, stress, alcohol, coffee and other triggers that sabotages efforts to stop smoking, and the main reasons for failure. 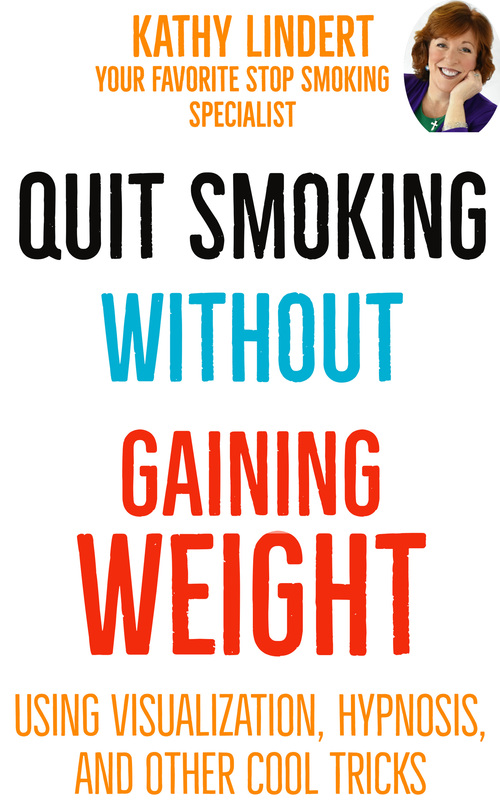 With Kathy’s proven methods, you will be throwing away your cigarettes for good, helping you to save money, and not packing on the pounds.